Google+ Raising a Trilingual Child: FREE Audio Books and Stories for children in English. 19 great websites. Audio books are very entertaining for kids. They are a great resource for teaching and learning a language to any age group from kids to adults. You can listen to them in a car or at home while enjoying other activities. My kids like to draw and listen to fairy tales and children's stories when they are broadcasted on children's radio or as audiobooks. Audiobooks are available for children up to 8 years old . You can choose from different titles. You can either read an ebook by yourself or listen to a narrator and follow the words in the text. 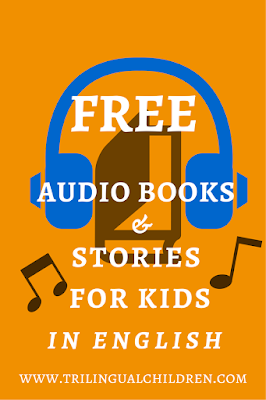 Free public domain audiobooks & eBook downloads for children and adults. 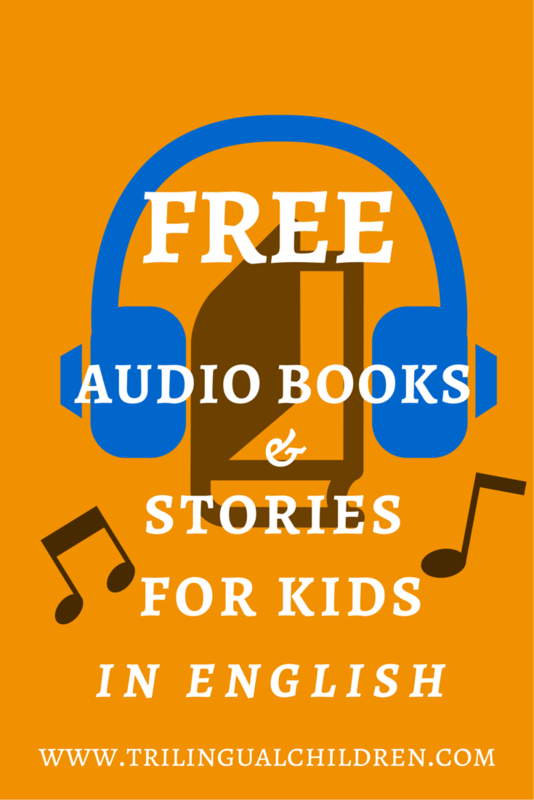 Great kids audio books collection! This website is the contribution of the Screen Actors Guild (SAG) Foundation to the advancement of literacy. It features professional actors and famous people reading children's books aloud. Wonderful book reading videos on Youtube! Audiobooks are read by volunteers and available for free to anyone to listen to or to download. Browse the catalog of over 15000 free audio books. In order to find the children's books you could browse by Gender / Subject or use their advance search and choose in Category/ Gender either "Children's Fiction" or "Children's non-Fiction" to show all the children's audio books available. Great short stories for kids with read-along text. Also available on iTunes. Golden collection of vinyl records ready to be streamed or downloadble as mp3. Wonderful classics from the golden age! There are also stories and songs for kids on youtube! Collection of children's literature sorted by author, book titles, genres, collections and readability level. You can either listen to mp3 format audiobooks and read the text online or download audio and books in PDF. More than 200 stories in mp3 format for you to download and listen to. No text is provided. Free children ebooks website. Some books are with audio narration. This is a particular website. Children's books are narrated by their authors (with video!). You can also record an audio and video of you reading a book, so your children / grandchildren would watch YOU reading it instead. This is a paid option, but you can try it for free and see, if you like it. Really great website for little English language learners with short kids stories to watch. The website has other great language learning material: nursery rhymes, kids songs, tongue twisters, spelling and grammar videos and games. The children's digital library, where children can listen to interactive stories and play. Robert Munsch is the author of many great books. Listen to them or read his poetry and stories. He also shares with readers how his books were written. Extensive digital library of children's ebooks from around the world. Many books are available in more than one language. I found 5 audio books at the moment that are available in two languages - English and Spanish. Use this Keyword search to check if there are more audiobooks and to find ebooks you'd like. Great website where you can instantly borrow free audio books with your USA library card. You can also borrow and stream on your mobile or computer movies, television shows, music albums. It is like taking them for a short period from your local library. You can borrow audiobooks, ebooks, videos using your local library card. List of kids' books in Russian language. List of Russian Children's Cartoons and Movies. 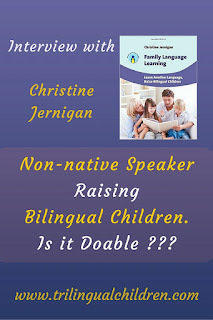 9 steps of Raising a Bilingual Child successfully.